The world will witness actress Julia Roberts at the 2022 World Cup ceremony. 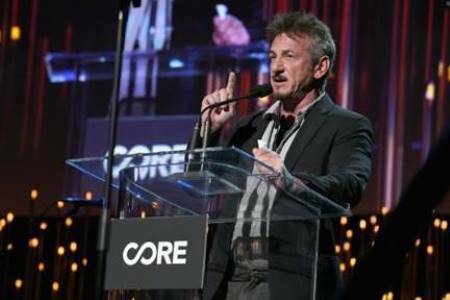 At the pre-Golden Globes fundraising charity on Tuesday night, launched by actor Sean Penn, Hollywood stars such as Julia Roberts, Jimmy Kimmel, and Ben Stiller arrived to attend the charity auction event. Penn established his organization previously known as J/S HRO, now rebranded as Community Organized Relief Effort (CORE) nine years ago. The main purpose of the charity stood to ally the Earthquake victim of Haiti and people across the Caribbean region and also to the natural disaster victim in the United States. The host of the night Sean Penn gathered guests' attention to the fundraising charity. CNN's correspondent Anderson Cooper received praise and acknowledgments for his hazardous report on the Haiti earthquake that took place eight years back in 2010. Furthermore, honoree Anderson received praise even from Julia Roberts for being an active respondent when the devasting 7.0 earthquake hit Haiti. "In Haiti he was often a first responder, a pioneer in a time of extreme uncertainty"
"He reported the news, the truth that we all needed to hear. He gave Haitian communities a platform to express their needs and to be heard." As a matter of fact, Anderson Cooper even took humanitarian prize named after the late comedian star Garry Shandling. Sean Penn at the CORE charity event. Host Penn received praise from the honoree Coopers as well. "I’m not sure, exactly, how Sean got to Port au Prince, because it certainly wasn’t easy. He stayed long after most of us had gone." The evening was able to raise more than $3 million, with one of the highest amounts collected from singer Jason Derulo. The night became more entertaining when artists like Billie Ellish, Macy Gray, and Yusuf Islam gave their beautiful performances. Many celebrities donated valuable stuff and their precious belongings to the charity auction. Oscar Award winner Leonardo De Caprio donated a painting by Bosco Sodi, a contemporary artist of Mexican descent. One of the exciting parts of the auction included a private dinner with chef Jose Andres starring performance from cellist Yo-Yo Ma. The highlight of the night included when Miss Roberts along with her husband Daniel Moder bid and won $100,000 for two tickets to attend the next FIFA World Cup in Qatar taking place in 2022. Julia who will be attending the 2022 World Cup with her $100000 tickets earlier attended the 2019 Golden Globes Awards where she rocked a pant and gown featuring dress. You can catch her 2019 Golden Globes look here.